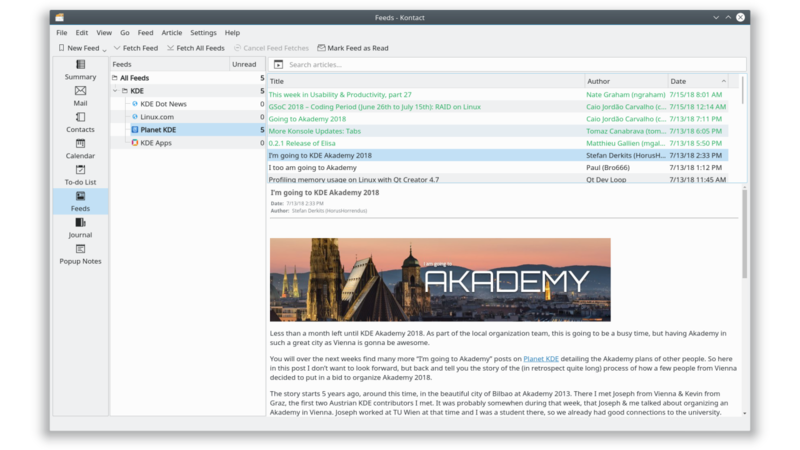 Akregator is a news feed reader. It enables you to follow news sites, blogs and other RSS/Atom-enabled websites without the need to manually check for updates using a web browser. Akregator is designed for convenient reading of hundreds of news sources. It comes with Konqueror integration for adding news feeds and with an internal browser for news reading.